Clinique's Mascara Exchange was so popular that they are doing it again this year! 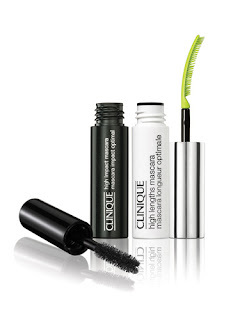 From Sat 14 Jan 2012 to Wed 1st Feb 2012 take any full-sized mascara (even if it's empty or dried up) to a Boots Clinique Counter and you'll be given a mini Clinique mascara in return. There are a choice of two mascara samples: High Lengths (5ml) worth £11.42 and High Impact (4ml) worth £8. Will you be taking part in the Clinique Mascara exchange? Will you choose High Lengths or High Impact? does it have to be clinque??!!!!! does it have to b clinique mscara? how do u sign up for one? Better warn my sister so she could save up in exchange for this!